For many reasons, the HP Slate might be the tablet device of choice over the iPad. The HP slate gains advantages in terms of processing, graphics, connectivity, video and cameras, while the Apple iPad triumphs with its display size, wireless capability, and battery life. I’m actually more impressed that the HP Slate is able to run flash, and also has the video and digital photography capabilities over the iPad. According to a leaded HP Slate presentation, the device starts at $549 and in its base configuration it features an 8.9-inch 1024 x 600 capacitive multitouch display (WSVGA 1,024 x 600 pixels), runs on a 1.6GHz Intel Atom Menlow Z530 CPU with UMA graphics and an accelerator for 1080p video playback. 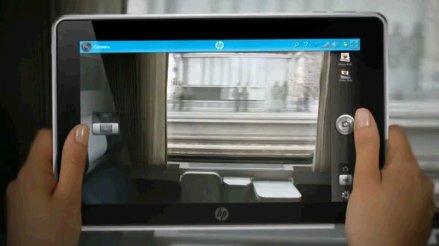 The HP Slate is expected to be available in stores by June 2010 (about 3 months from now).